One of the great parts about cafes is the atmosphere. People visit cafes for the experience just as much as the tasty food or coffee and drinks. Your cafe furniture is a big part of that experience. These furniture pieces should look good and be comfortable for every type of dining. 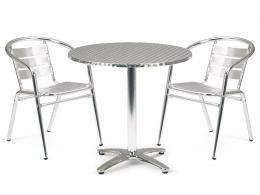 The Workplace Depot has options that are modern, sleek, stylish, and contemporary, and will add to any cafe atmosphere. They also work well in homes, restaurants, bistros, or canteens. 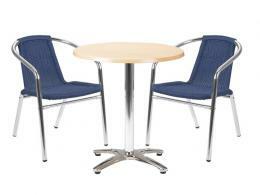 The Workplace Depot has a selection of cafe furniture to suit any style or taste. 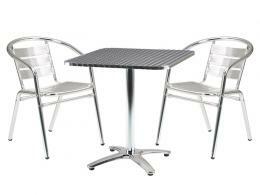 Our Rio Cafe Furniture is made of lightweight, premium aluminium and is a good choice year round. The armchairs and side chairs are stackable, and the feet can be adjusted for uneven surfaces. For maintenance-free furniture that is still incredibly chic, the Paolo Cafe Furniture is perfect. It’s made from a new material that never requires painting, oiling, polishing, or any kind of protecting, yet it looks like real teak. For easy-clean furniture, the Casa Cafe Furniture fits the bill. They’re also UV resistant and hardwearing, which is great for outdoor use. 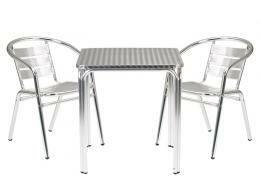 The Enviro Dining Tables and Benches are a good alternative to cafe and bistro tables. They’re sturdy yet lightweight and look modern and attractive. The tables come in rectangular, shield, and round shapes – versatile options that will fit in any kind of space. Both the tables and benches from this series come in a variety of dimensions as well as two colours – beech and Ailsa grey. These are good options for cafes as well as canteens. 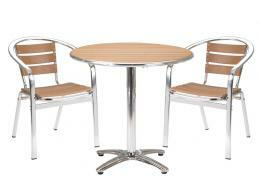 The Workplace Depot’s Enviro Dining Tables and Benches come with a 5 year warranty including parts/labour. 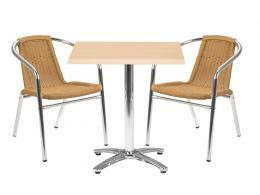 All of our cafe furniture, including the Rio, Casa, and Paolo series, come with one year warranties including parts/labour. That’s not to mention that all of our products come with free delivery.